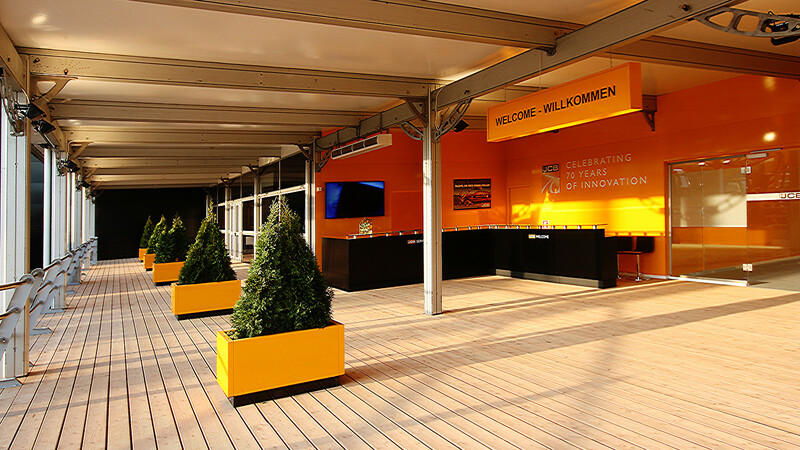 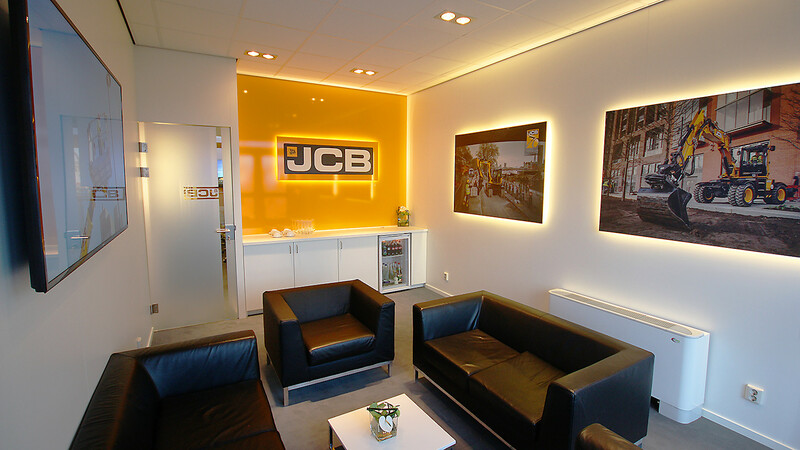 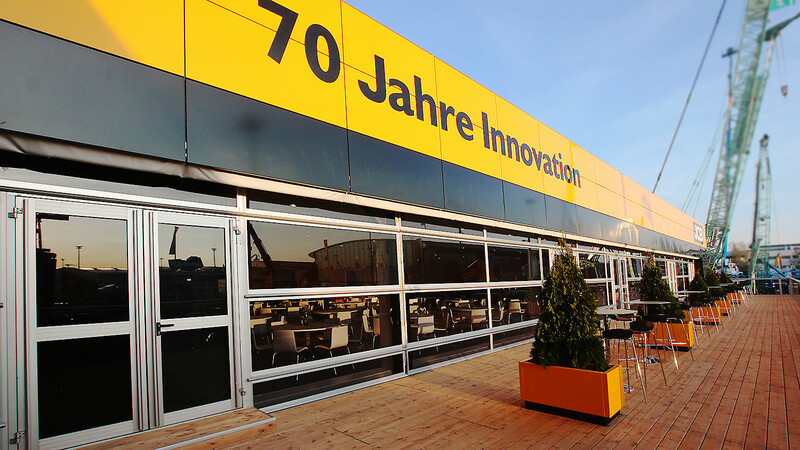 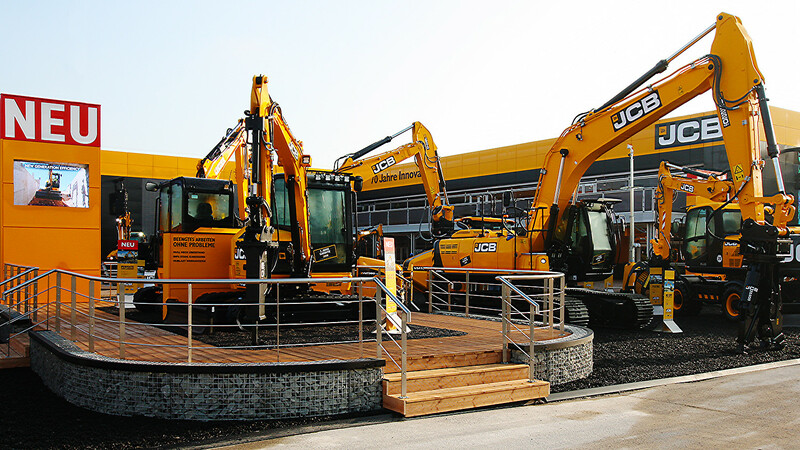 Bauma Munich 2016, saw the latest rollout of our architectural philosophy for JCB that we first unveiled at the show three years previously. 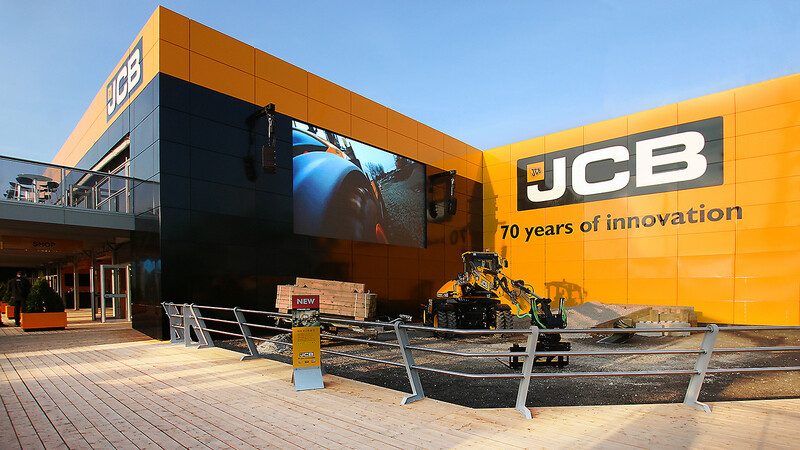 Bespoke colour matched JCB yellow and black wall steal panels wrapped the north face with a 40x20m double deck hospitality structure nestled to one side and the famous dancing digger arena in front of an 18x5m LED wall. 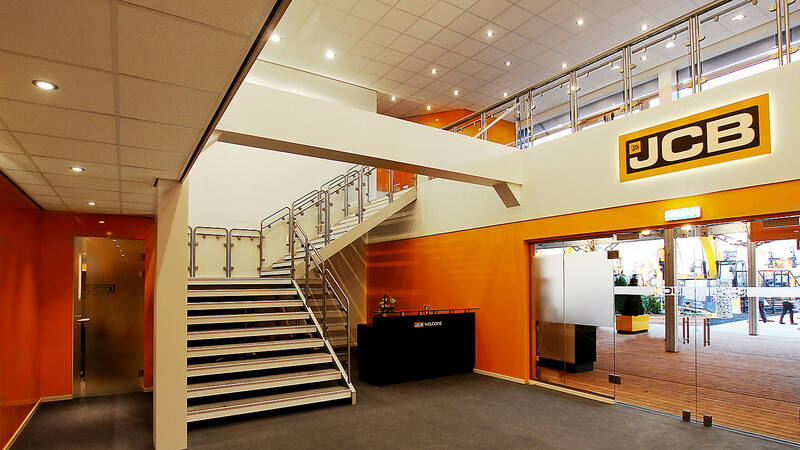 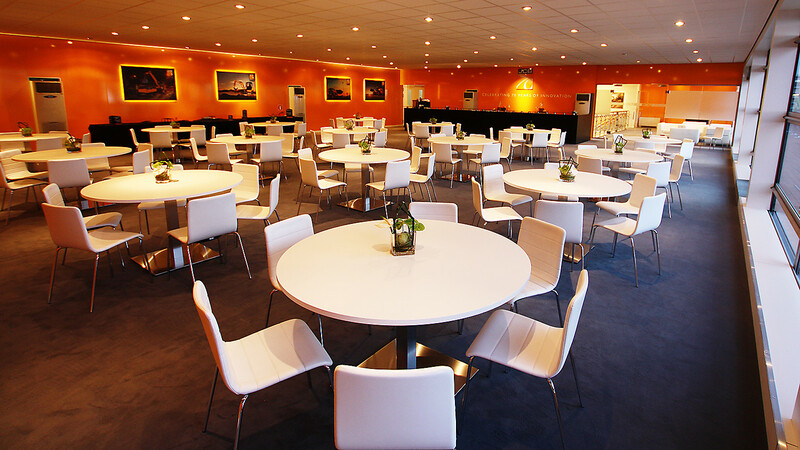 The structure featured 8 meeting rooms, 2 executive lounges, the chairman’s lounge, a shop, two working kitchens and a VIP dining room. 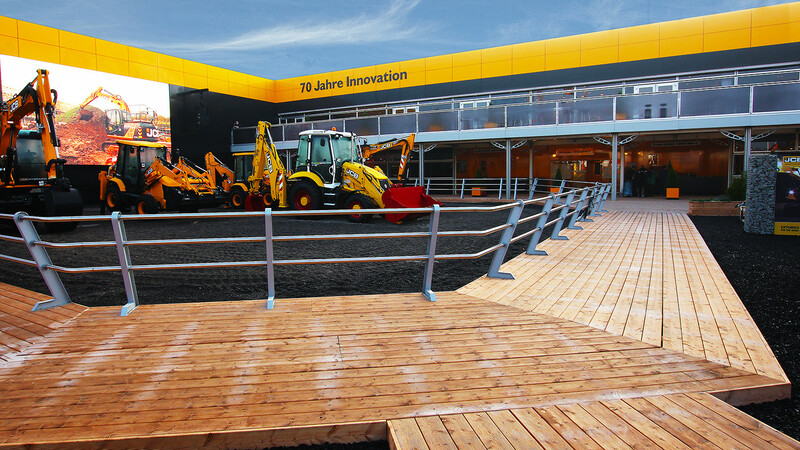 Construction took just over 5 weeks – starting in snow and opening in brilliant spring sunshine.